As a Eucharist-centered movement within the Roman Catholic Church, Life Teen leads teenagers and their families into a deeper relationship with Jesus Christ and His Church. With the Blessed Virgin Mary as its intercessor and guide, Life Teen seeks to unleash the fullness of the Sacramental power present within the young Church. Through powerful Eucharistic encounters and engaging catechesis, Edge (11-14yrs) and Life Teen (14-18yrs) young people are immersed in a dynamically Catholic parish culture. With the parish as their true home, teens are then further strengthened by Summer Camps, Events, Resources and Digital Evangelisation. Life Teen's goal is not only to equip parishes worldwide with timely, high quality resources to train Catechists and "reach” today’s teens, but also to create an environment where Catholic teenagers feel supported and engaged the other 167 hours a week, outside of Sunday Mass. Several parishes within the Archdiocese of Birmingham have subscribed to Life Teen's resources and are successfully running Life Teen and Edge groups for young people. BCYS are here to support the recruitment and training of your core team which is an essential element of setting up a Life Teen group. Through the formation of youth ministers who are on fire for their faith, this zeal for their faith overflows into their ministry. Core teams are made up of volunteers in parishes who wish to see the lives of young people transformed by Jesus. We hope to see a generation of young people emerging who are engaged with their faith, living this faith in their every day lives and discerning God's call for them as disciples. Life Teen can be a great way to support this mission and alongside passionate volunteers, BCYS are excited about developing more Life Teen Parishes across our Archdiocese. If you are interested in finding out more about Life Teen, get in touch with your local BCYS worker! Every Summer The Kenelm Youth Trust welcomes back Life Teen for Summer Camp! Flying in from the United States, Life Teen bring with them their passion for teaching about, and drawing young people into the sacramental life of our faith. Working alongside the volunteers and staff of the Kenelm Youth Trust, Summer Camp delivers an exciting and powerful program for young people from all over the Archdiocese! Young people experience a week of adventure, exploring the Catholic faith, challenging themselves with exciting outdoor activities, being thrilled with a day out at Alton Towers and being transformed as they pray, share and have fun together. Summer Camp is open to all young people aged 11-18 years and is held at Alton Castle, check out our news pages or events calendar for this year's dates. 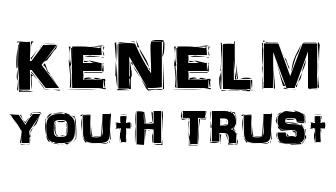 For more information or to book a place email beccy.roseman@kenelmyouthtrust.org.uk​ or download a booking form here!